William was the third child of William and Ann Budd, born on 29 March 1778 in Uxbridge Middlesex. He was the second William born to William and Ann, the first died an infant of only five months in Southwark in 1776. William married Mary Packer in 1798 and they lived in Uxbridge in the early 1800s where William was sub-Postmaster there from 1798 until 1810. In May of 1810 a Mr Goddard filed a complaint surrounding 'delays and irregularities' with his post. Upon investigation William was vindicated and following resolution of the matter, he felt able to submit his resignation in order to allow him to attend to 'concerns which take up much of his time' - we assume this relates to his new Waggon business. William and Mary had eight children in all, the youngest of whom, Jane, went on to marry one of William's nephews, Herbert Walker Budd (son of George Hayward). Following his time as sub-Postmaster in Uxbridge, William set up a Waggon and Coaching business, providing carriage from London (his business was based at Old Change, near to St Paul's Cathedral) to Gloucester. This business was substantial but the capital and ongoing costs of maintaining a business of this size were significant. 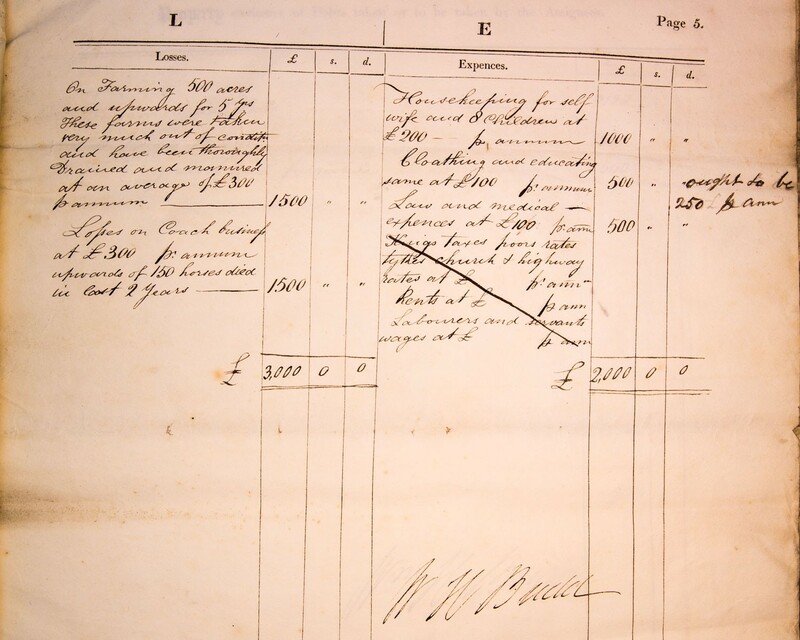 Having in his own words 'lost upwards of 150 horses in the past 2 years', William was declared bankrupt in 1823. Perhaps in an attempt to avoid losing the business altogether, William passed on the concern to one of his sons, William Packer the year before. Cited in the bankruptcy papers were debts of more than £10,000. The largest creditors were his family - brother Charles and brother in law Benedict Angell were owed nearly £2,000 between them. William spent the rest of his years farming at Woodhill Farm in Gerrard's Cross, nearby to Uxbridge in Buckinghamshire and died in September 1865.